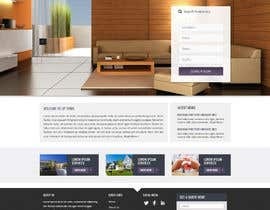 I am in need of a website to be designed for my realty company. I have included a few examples below. I also have attached our logo to give you some ideas. I want something "clean and modern" and easy to use. 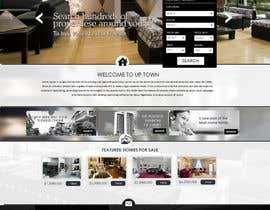 We would like to have a homepage that can showcase our homes for sale. and several tabs to show potential clients our team, why to use us, allow them to browse homes for sale and a contact us page. sir please check entries #58 #59.
sir please check #52 #53 #54 and please give me feedback. For clarification this contest is for a complete website. Not just a template or home page one. do you want also coding? sir please check #35 and #36 and please give me feedback. Pleased to submit our first design. Kindly check and provide your feedback for entry #32. We would appreciate any constructional comments on Private Message Board. Thank you! sir please check #26 #30 #31 and please give me feedback. Please check #27 and give feedback for revisions. Thanks. sir please check my entry #26 and please give me feedback. sir please check my entry #25 and please give me feedback. sir please check entry #18 and please give me feedback. I have rated the ones I like so far... Please visit this site. We really like the layout and feel of this website. Can you seal this contest sir/maam? Sir please seal the contest to get unique designs not copies.